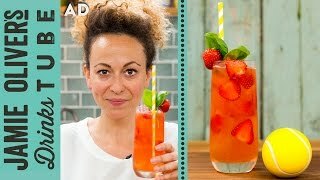 A wimbledon inspired cocktail that takes the strawberry as a base, and adds a touch of lime and elderflower before giving you the kick of vodka and ginger. A great combination. 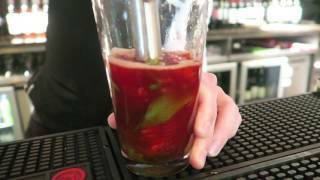 Shake the vodka, puree, cordial and lime juice in a cocktail shaker with ice. Strain into a highball glass before topping up with ginger ale.